Our Flavored Turkey Jerky is handcrafted and suitable for both small and large dogs. 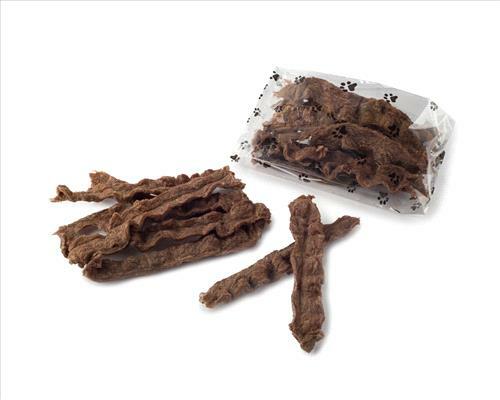 The packages include 8 strips but can easily be broken for small mouths and for smaller dogs that would like a protein bite but not an upset stomach. Flavored Turkey Jerky has added flavor with molasses, parsley & oregano.